Check out the best cosplay from PAX East 2013! 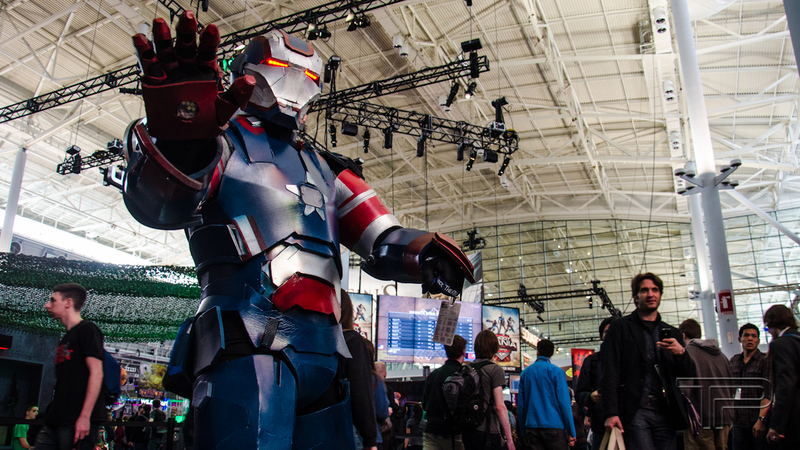 Like any nerd convention, PAX East was chock full of con-goers dressed up as their favorite characters from all of nerd culture. From videogames to comic books to movies, every where we looked was someone sporting an awesome costume or a nifty foam sword. Here's some of the best costumes we saw over the whole weekend. Tell us which ones are your favorites! The Iron Patriot (Norman Osboure in a Stark suit from the Dark Avengers storyline) directed foot traffic through the Expo floor. Picture courtesy of Thompson Plyler.